CHARLESTON, S.C. (May 3, 2016) – BoomTown, a leading real estate sales and marketing technology provider, has launched an Open Platform Initiative, which will pave the way for an expanded developer ecosystem and strengthen its solutions and services. With new partnerships and integrations, and an expanding product offering and leadership team, BoomTown is poised for further growth on all fronts. Through key integrations and the upcoming release of its Application Program Interface (API), BoomTown is dedicated to building an open environment that will spur rapid innovation on its platform. In line with its mission, BoomTown has ramped up integration efforts, recently releasing an integration with BombBomb, a leading provider of video email marketing solutions. This adds to its roster of integration partners including the popular Mojo Dialer, maximizing real estate agents’ telephone prospecting efficiency, Realtors Property Resource (RPR), which provides seamless access to data on more than 166 million parcels of property in the United States and Bandwidth, powering BoomTown’s integrated texting feature. When paired with its predictive Customer Relationship Management (CRM) tools, these key integrations enable smart prospecting in less time. In the past year, the company has also expanded its suite of solutions, now ranging from its most popular and best-in-class offering for midsize teams and brokerages, to an expansion product for multi-office power users, and a streamlined offering for small teams, currently in pilot with general availability in the coming months. Businesses interested in learning more about Open Platform integration with BoomTown can contact partner@boomtownroi.com. BoomTown takes a people first approach to technology – recently expanding its senior leadership team and hiring and investing in top talent across the company from The Weather Channel, MLB Advanced Media and Yahoo!, LoopNet and Amazon. Key hires include CTO Chris McClellen, Vice President of Marketing Kristen Fergason, Vice President of Sales Bryan Smith and a Director of Client Enrichment Janet Smith, all hailing from the technology industry with extensive experience in customer success, SaaS, digital marketing and CRM. To accommodate its growing team of more than 200 employees, BoomTown recently announced plans to expand its Charleston office in the heart of Silicon Harbor’s new technology corridor. It also maintains offices in San Francisco and Atlanta. BoomTown combines a powerful real estate sales and marketing platform with success management services to help real estate brokerages and teams across the country grow their business and build lifelong relationships with their customers. 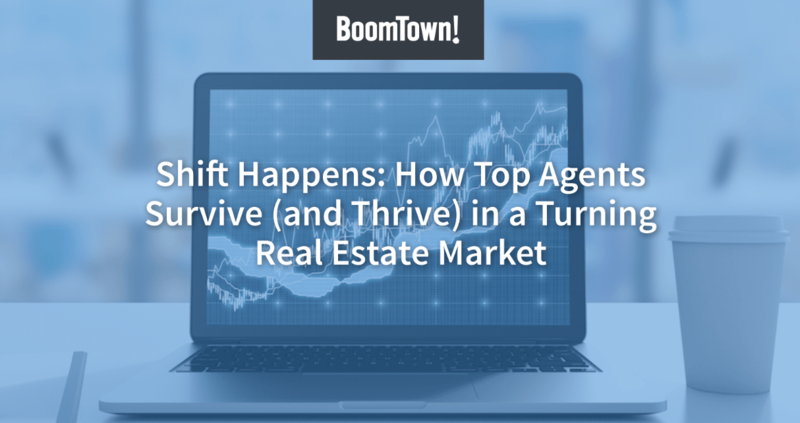 An established and growing SaaS company dedicated to simplifying and modernizing the business of real estate, BoomTown has nearly a decade of proven results in all stages of a buyer and seller’s journey. The BoomTown real estate sales and marketing solution includes: a customized real estate website integrated with local MLS data, a predictive Customer Relationship Management (CRM) system with real estate marketing automation, client success management—and through its position as the only Google AdWords Premier SMB Partner in the real estate industry—personalized lead generation services. To learn more, visit www.boomtownroi.com.